Minimum quantity with your imprint, 12. Quantity variation +/- 5% is possible and billable. Take your 36 can cooler with you on the picnic. Padded shoulder strap. 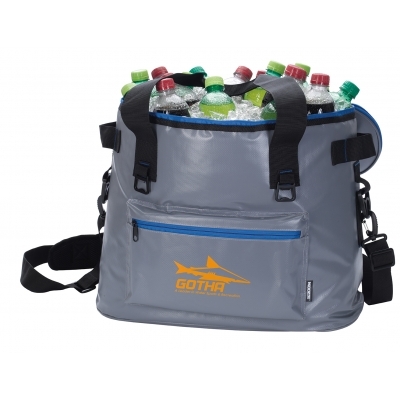 It has a heat-sealed PEVA liner, front zippered pocket and main zippered compartment. Need a bottle opener? One is already attached. Top carry handles, and side carry handles. Packaging: Bulk. 5 pieces per shipping box. 15 lbs.